I'm running repetier firmware on ramps. I want to use tb6600 but the motors do not spin at all. Wiring is fine. When I test it with simple code just to turn the motor is working. Using firmware it doesn't spin. I know I have to change timings but it's a mess for me. Could anyone upload the firmware with these settings already applied ? 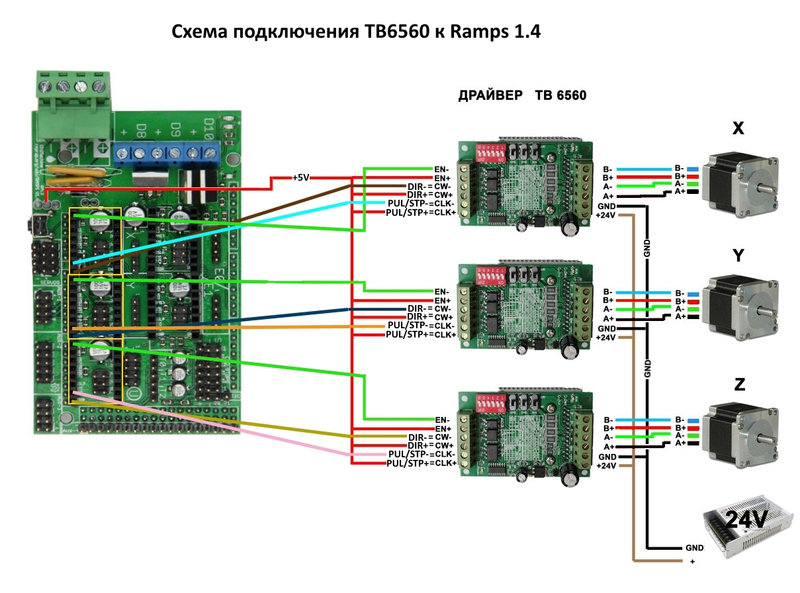 Just select expert mode in config tool and set the delays as described in tb6600 datasheet. That should get it going. You might reduce delays by 1us as commands add extra delay. The rest of config only depends on printer and is different for each printer type. It doesn't spin at all. I have tried higher delays. Would you mind sharing the wiring ? my wiring will not help as i use bare DUE. may be you should share a picture of your wiring so i can take a look at it. are the settings on 1 or 0 ? I ve tried both wirings. Now i'm using the second one (Bridged En- Clk- Cw-). I've tried old Marlin version with microstep_pulse at 10 μs and it's working fine, but i don't want to use Marlin for various reasons. I've tried that wiring. I'll check it again. Finally it did work ! 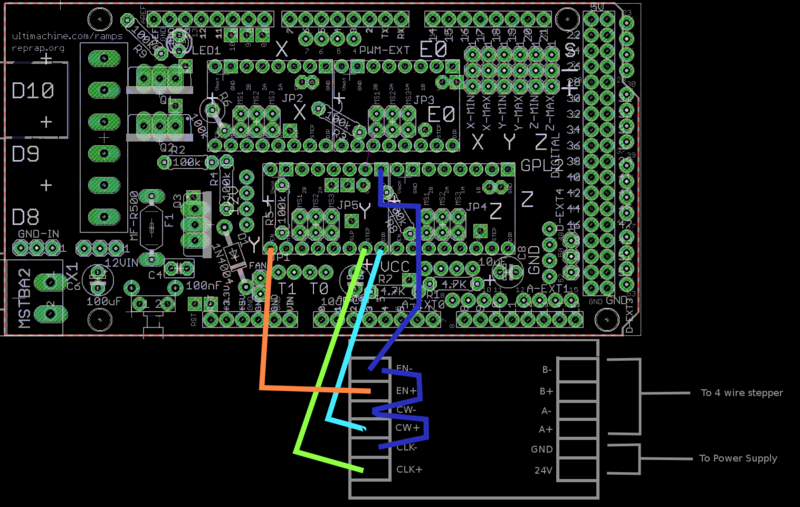 The key point was to keep direction delay low at 2μs and increase STEPPER_HIGH_DELAY to 40.